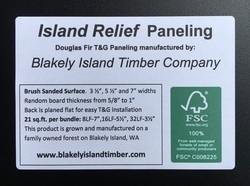 Blakely Island Timber's Island Relief paneling is our newest product. 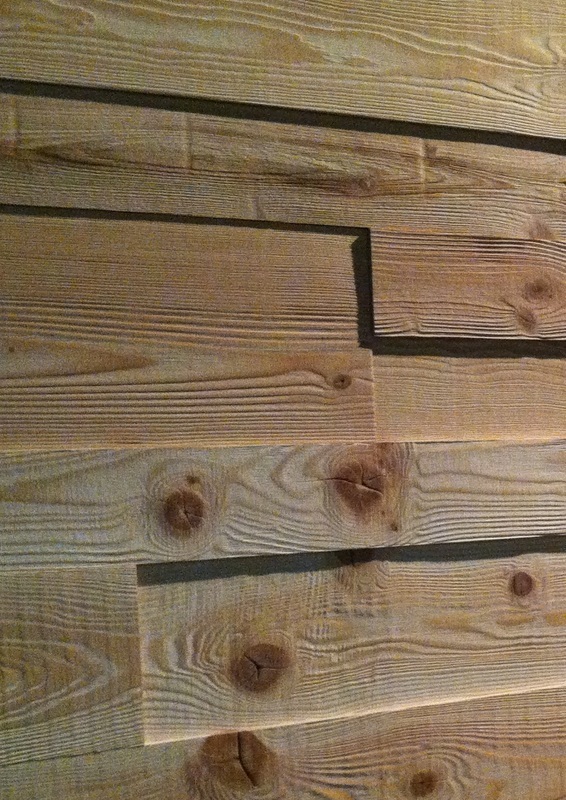 It is an FSC® certified paneling product and is the product we are most excited about. 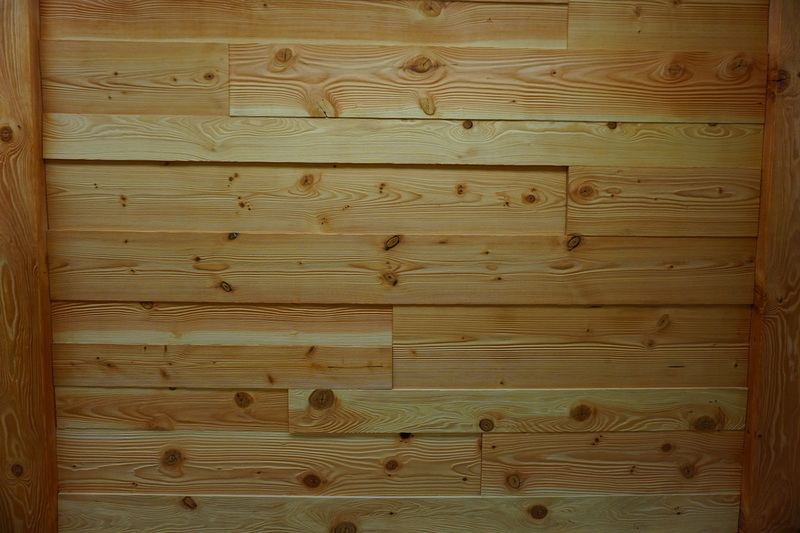 It is a highly textured, solid Douglas Fir paneling product that is a natural highlight for just about any room in the house. Each individual board is brush sanded to a smooth-to-the-touch finish that highlights the wood grain and produces splinter free edges. It is a tongue and groove product with a smooth, flat back to allow for easy installation. 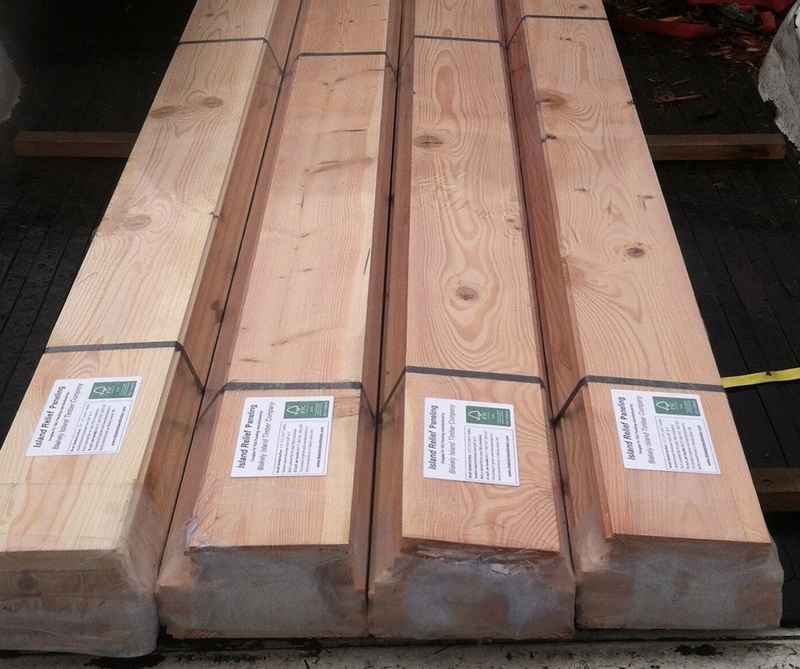 The boards range in thickness from 1/2" up to 1" thick. 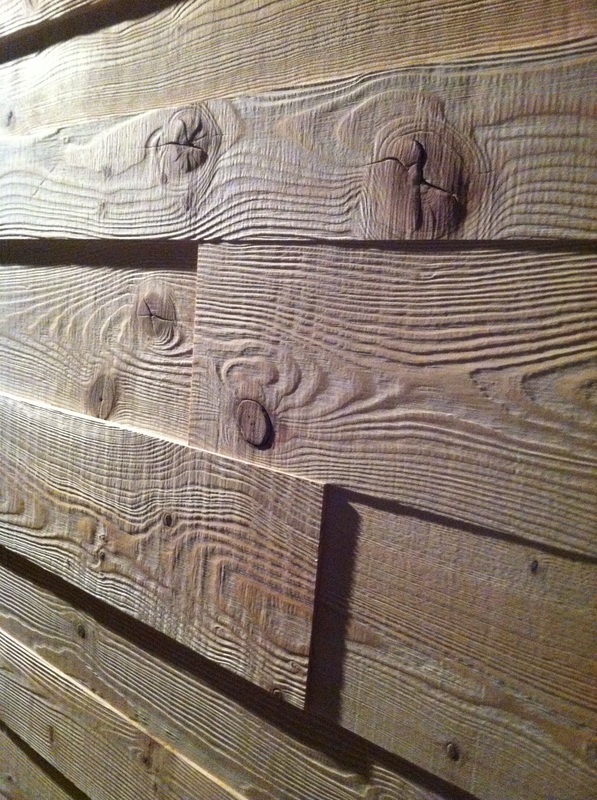 All the surface variations that occur from milling and drying lumber are left intact and visible on the front side of the board. These variations combined with brush sanding give the Island Relief paneling its truly unique look. 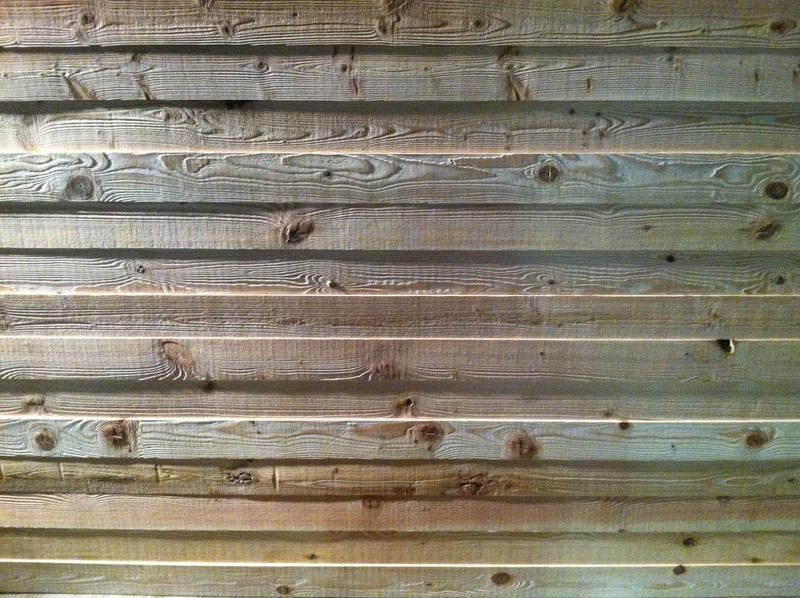 Boards can be left in long lengths or cut as short and as random as your design requires. The Island Relief paneling is sold in an assortment of three different widths: 3 1/2", 5 1/2" and 7" face width. The 7" width will match perfectly with two stacked 3 1/2" pieces to provide more options for installation. The surface is brush sanded and left unfinished. 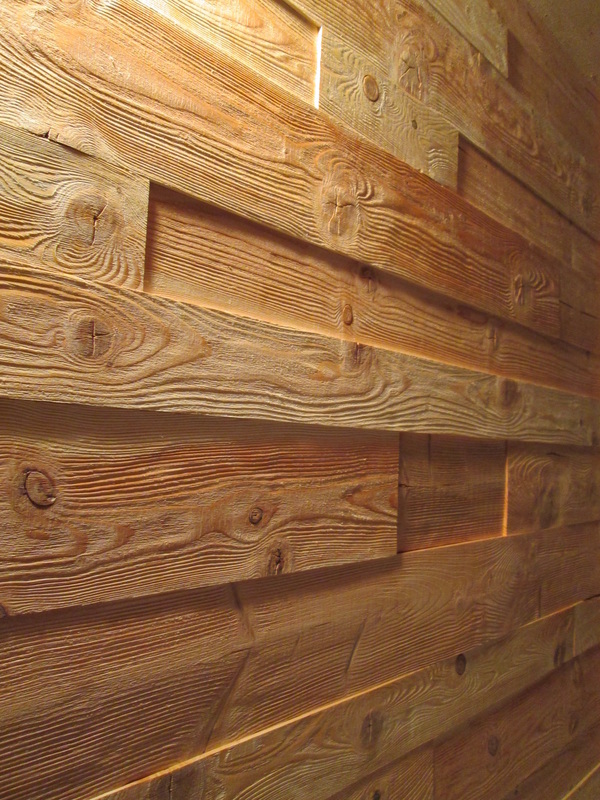 The paneling is ready to receive a stain, oil or finish of your choice. There is one more bit of information worth mentioning about this product. 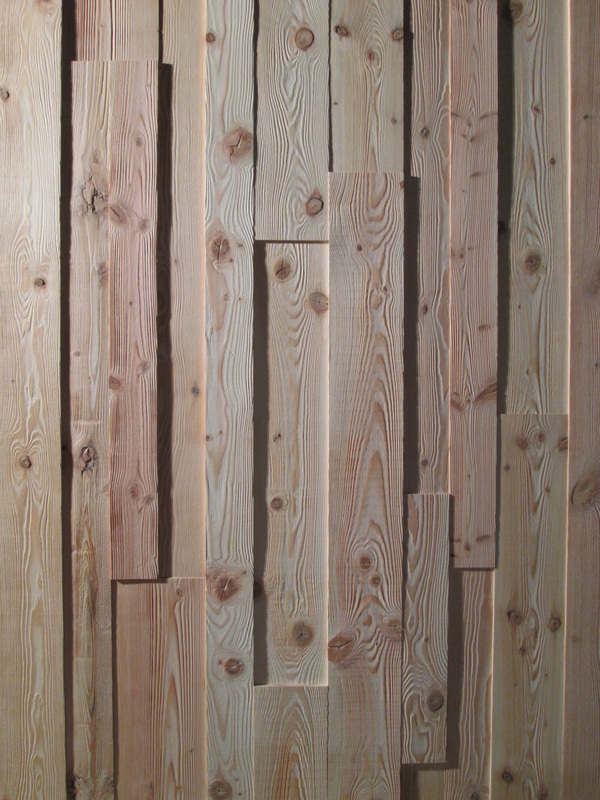 The majority of the lumber used to generate this product is lumber that literally didn't make the grade. The warped, twisted, checked and excessively knotty lumber that is culled from all the other possible grades is used to produce our Island Relief paneling. Our unique shaping process utilizes a lot of material that used to go to the chipper and transforms it into a stunning paneling product with endless design and finish options.